Second-year Broncos safety Will Parks got himself into hot water earlier this week by posting video of himself making a couple of plays in Broncos camp, which had the side effect of making QB Paxton Lynch look bad in the process, but now he is in legal trouble, facing a pair of misdemeanor charges, according to Nicki Jhabvala. Parks was a standout safety at Arizona over his final two college seasons, making 62 defensive stops over his final two seasons in the Pac-12. 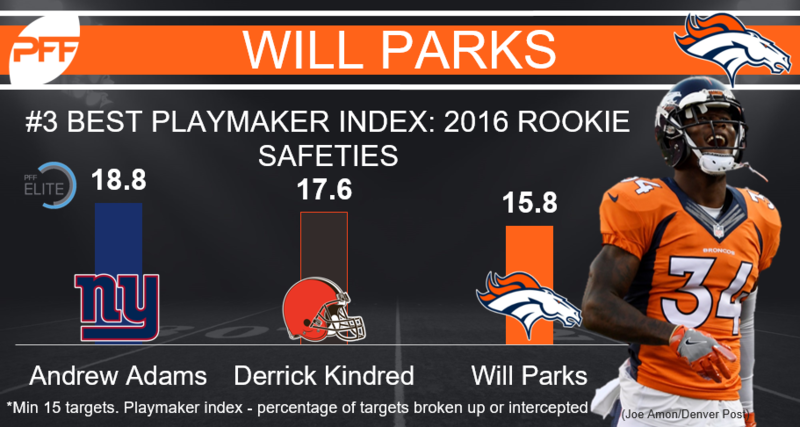 His rookie season in Denver saw Parks play 268 snaps, largely in anonymity, but he was able to break up a pair of passes and intercept another, giving him the third-highest playmaker index among rookie safeties, albeit on a very small sample size (19 total targets).